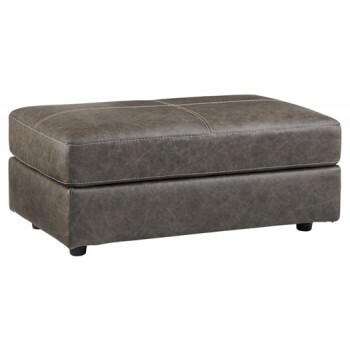 Make life more easy-going in the most dapper way with this ottoman. Soft and durable leather top is matched with faux leather sides to give you quality without breaking the bank. Down-to-earth warm gray upholstery and stylish jumbo stitching make this sleek profile all the more attractive. Adorn it with a tray of accessories when you’re not relaxing your feet on the cushion.